Praised by Strad Magazine for their "high-octane" performance, the Aeolus Quartet is among the finest young string quartets performing today. Violinists Nicholas Tavani and Rachel Shapiro, violist Gregory Luce, and cellist Alan Richardson formed the Aeolus Quartet in 2008 at the Cleveland Institute of Music. Since its inception, the all-American quartet has been awarded prizes at nearly every major competition in the United States and performed across the globe with showings "worthy of a major-league quartet" (Scott Cantrell, Dallas Morning News). Luke Quinton of the Austin-American Statesman writes, "The Aeolus Quartet is a powerful and thoughtful group of young musicians who are plotting an ascending coursethis vibrant group shows great promise." 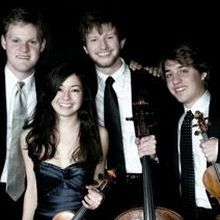 They are currently the Graduate Quartet in Residence at the Juilliard School. 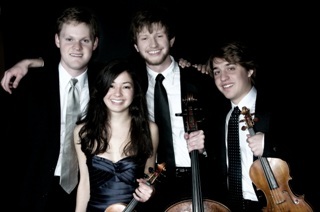 The Quartet's 2013-2014 season includes multiple performances on the Smithsonian Institute's rare instrument collection, an educational tour of the Midwest in conjunction with the Fischoff Competition, concert touring throughout the United States, and residencies in North Carolina and at the Austin Chamber Music Center's Summer Festival. The Quartet is named for the Greek god Aeolus, who governed the four winds. This idea of a single spirit uniting four individual forces serves as an inspiration to the members of the Aeolus Quartet as they pursue their art. Pianist Assaff Weisman has been captivating audiences with his intensity, lyricism and communicative style since his solo debut at the age of twelve. The Greenville News observed "this piano virtuoso has facile fingers that toss off daredevil passages with ease and a mind for music that is as nimble as his fingers." Mr. Weisman's performances have taken him to some of the major venues in Europe, the Middle East and the Americas.